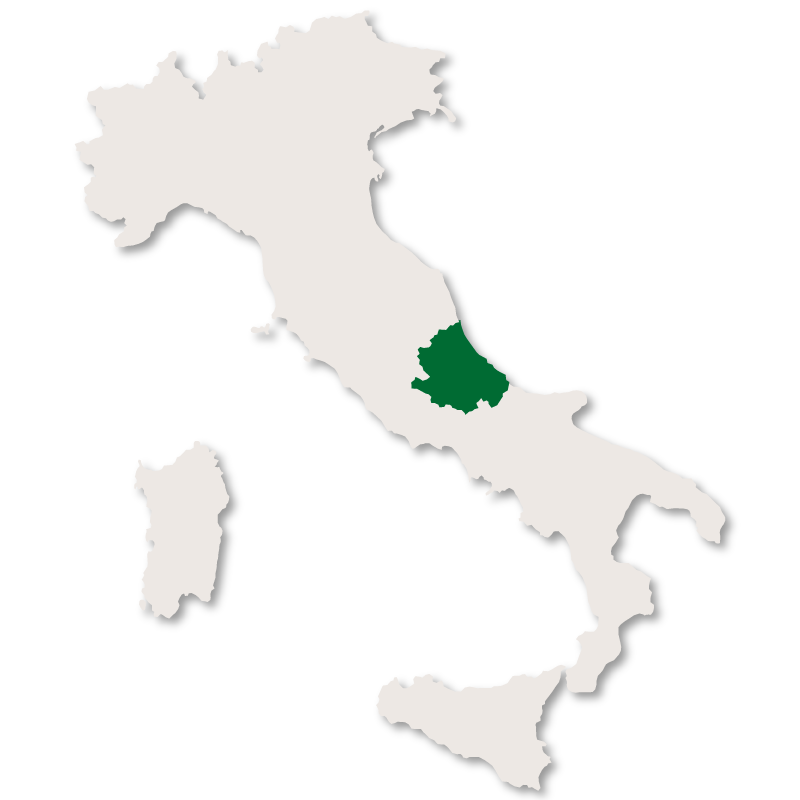 Abruzzo is situated at the centre of the Italian peninsula to the east of Lazio. It is bordered on the west by the Apennines and on the east by 150 kilometres of coastline on the Adriatic. It is one of the most mountainous regions in Italy. The Corno Grande in the Gran Sasso massif, at 2,914 metres, is the highest summit in the Apennines. The rivers are numerous and although many of them are seasonal there are many that are active all year round, even during the hottest part of the summer. 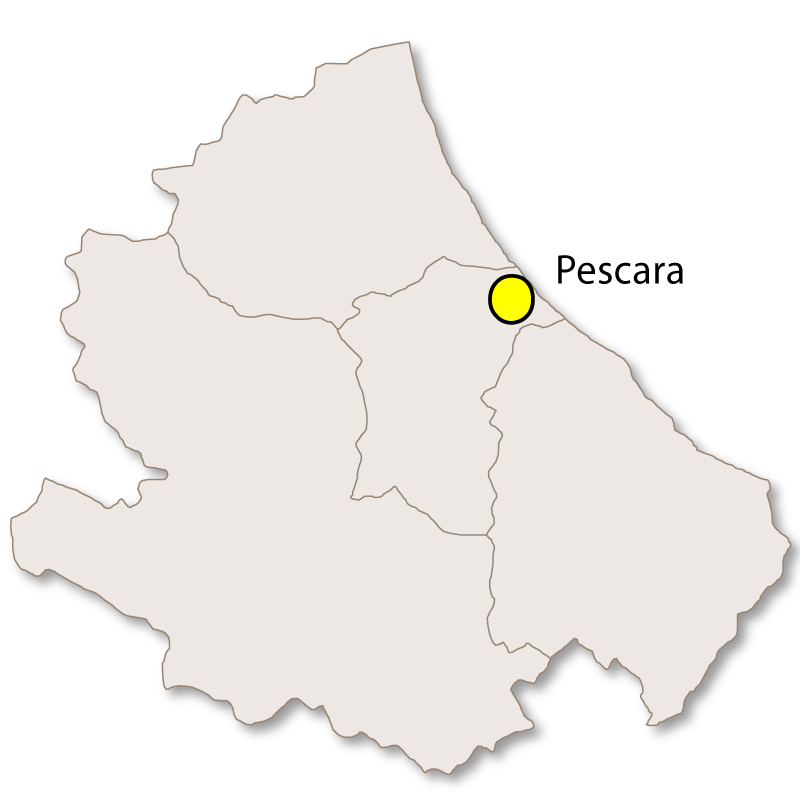 The two largest rivers are the Pescara and the Sangro and these two, along with many smaller ones, flow constantly throughout all the seasons. In the interior are the 500 square kilometres of the Abruzzo National Park, where rare examples of Mediterranean flora and fauna survive, such as: chamois, wolves, bears and golden eagles. The climate is varied: In the spring and summer it is warm, dry and comfortable on the coast and on the hills inland. In the autumn and winter it is dry and cold but still pleasant on the coast and hills. In the mountains it is dry and cold. Major roads and railway lines link the region to the south, west and north of Italy and the rest of Europe. Over the last 10 years, tourism has increased, mostly among Italians and other Europeans. 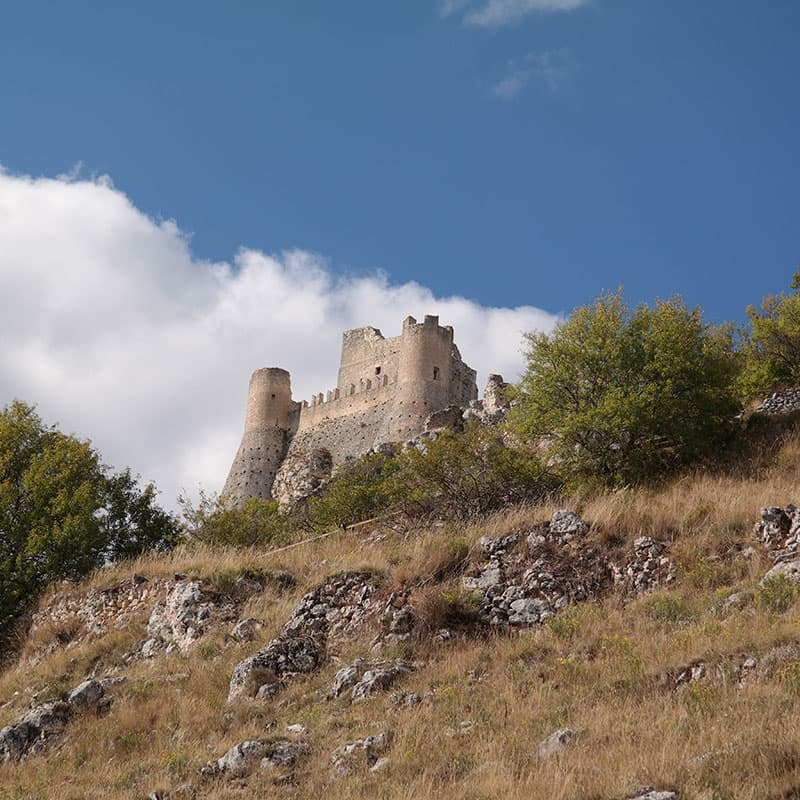 Abruzzo has a wealth of castles and medieval towns, especially near the town of L'Aquila, which was the scene of a devasting earthquake in 2009. 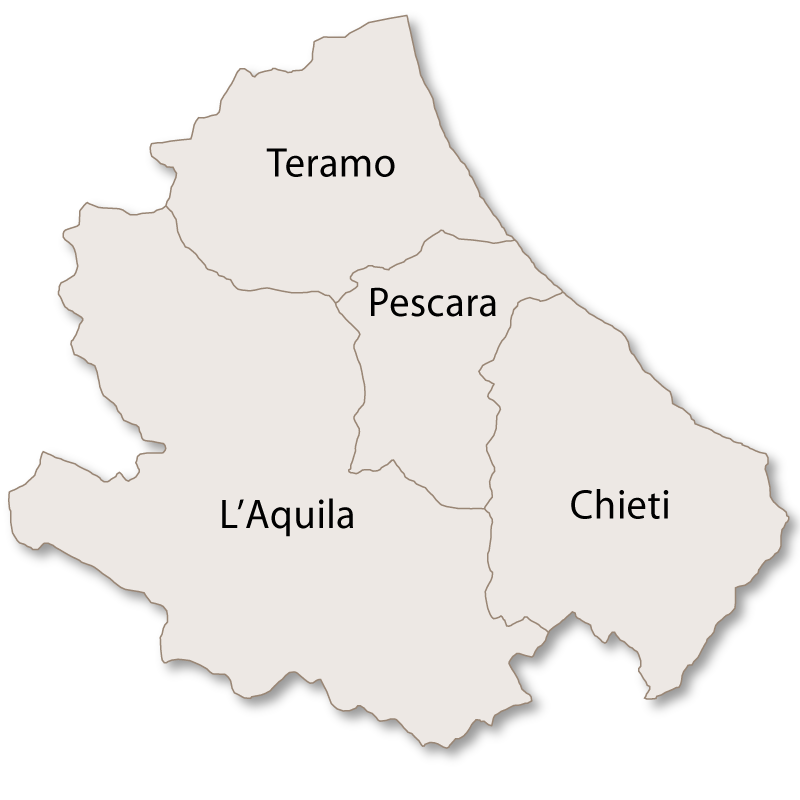 The area is also known by the nickname of "Abruzzoshire", by analogy with the "Chiantishire" nickname sometimes used to refer to the Chianti area of Tuscany, but Abruzzo is still off the beaten path for most visitors to Italy. The region has 21 ski areas with 368 kilometres of runs, all within a few hours of Rome. The most developed resort is Roccaraso, followed by Campo Felice, and Campo Imperatore. Located in the highest region of the Apennines, these ski areas are at heights nearly comparable to many Alpine resorts. Because of their proximity to the Adriatic and winter precipitation patterns, they often have more snow than the Alps. Abruzzo also is popular for cross country skiing, especially on the high plain of Campo Imperatore in the Gran Sasso as well as the Piana Grande in the Majella. 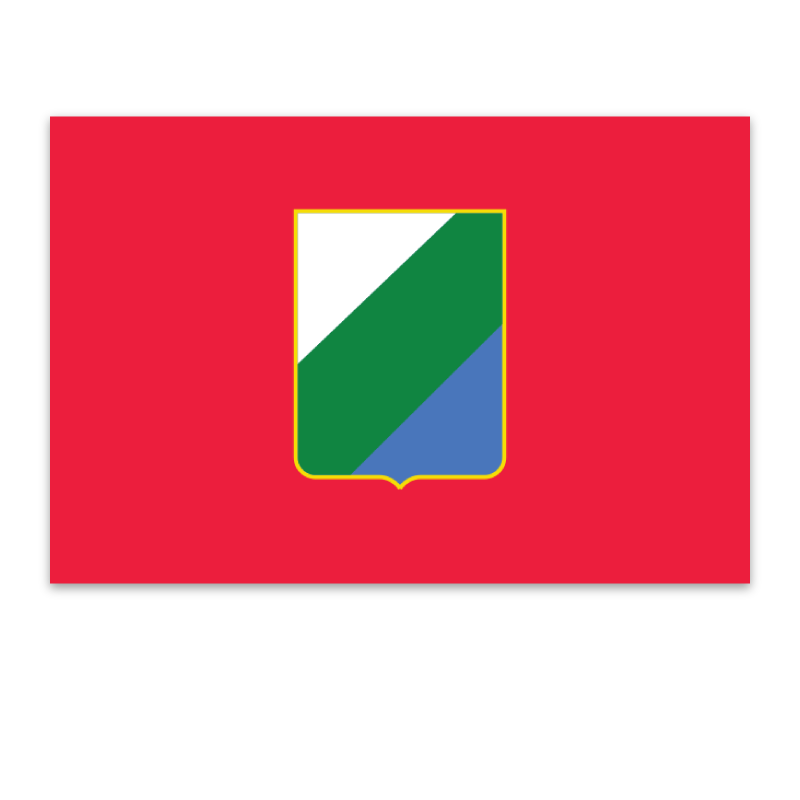 Abruzzo is home to the Italian peninsula's highest peak, Corno Grande, and Europe's southernmost glacier, Il Calderone. The Corno Grande and its neighboring Corno Piccolo provide a range of climbing opportunities from mountain hikes suitable for novices to sheer rock wall ascents suitable only for expert alpinists. Abruzzo's lesser known peaks, especially the gentler slopes of the Majella, offer climbers the opportunity to hike and climb in solitude. Abruzzo's long sandy coastline is home to a many popular beach resorts, among them Vasto on Abruzzo's southern coast; mid-coast are Silvi Marina, whose sands are considered among the best in Italy, Giulianova, Francavilla al Mare and Pineto, and on Abruzzo's northern coast are Alba Adriatica and Martinsicuro.